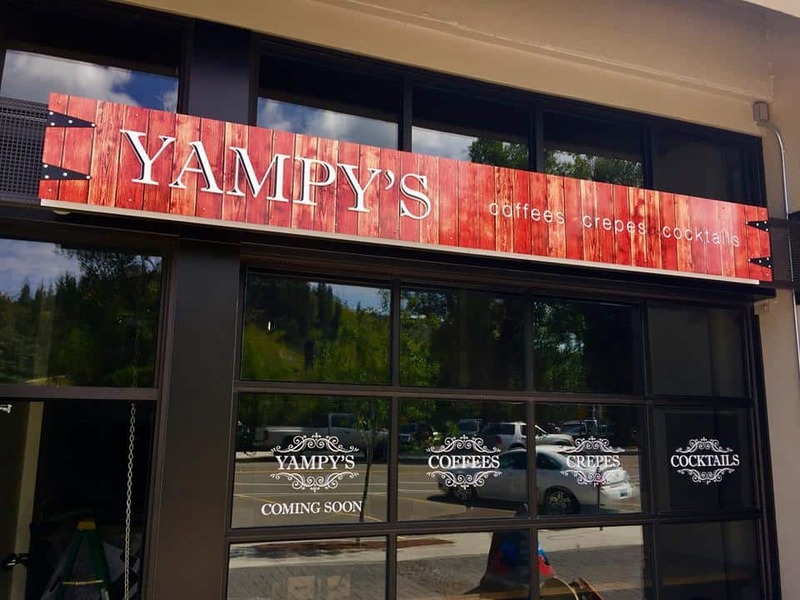 We’re excited to welcome Michaela and Jenner Kosmis and their team at Yampy’s Coffee Crepes and Cocktails to the Crimson Cup community! 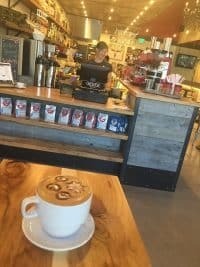 The shop at 910 Yampa in Steamboat Springs, Colorado was one of 20 new independent coffee shops that opened in 2017 through our 7 Steps to Success coffee franchise alternative program. Michaela and Jenner learned how to open a coffee shop through Crimson Cup’s 7 Steps to Success coffee shop franchise alternative program. Based on the book Seven Steps to Success in the Specialty Coffee Industry by Crimson Cup Founder and President Greg Ubert, the program has helped hundreds of independent coffee shops develop into thriving businesses over the past 27 years. “We liked the idea of using Crimson Cup because they provided structure, but also the freedom to develop our own offerings,” Michaela said. 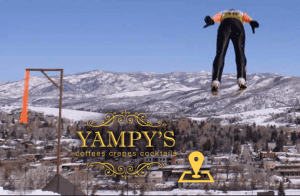 Located across the street from the Yampa River, Yampy’s front-window view features ski jumps where many local skiers and national Olympians train for competition. The new coffee shop serves a full menu of hot, iced and frozen espresso drinks – including mochas, lattes and cappuccinos – as well as iced coffee and tea, cold-brewed coffee, hot chocolate, fruit smoothies and other custom drinks. Its brew bar offers Crimson Cup Nitro cold brew on tap as well as pour-over craft coffees prepared using French Press, AeroPress and Chemex brewing systems. In a unique twist, Yampy’s complements its coffee menu with an extensive selection of creative alcoholic cocktails. Sweet and savory artisanal crepes, breakfast sandwiches and pastries round out the menu. To keep up with the latest happenings at Yampy’s, follow their Facebook page.